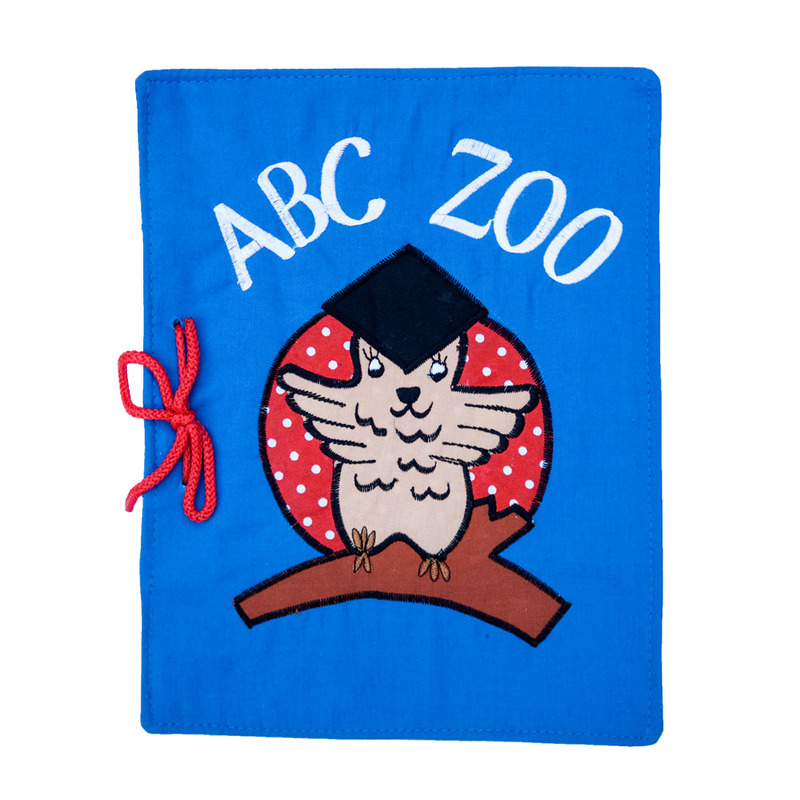 Another clever soft book featuring a letter of the alphabet and a corresponding animal whose name starts with that letter embroidered on each page. The large soft pages are bound with a red shoelace, so they can be taken out for play or to be used like flash cards. Measures approx. 17cm wide, 22cm high and 3.5cm deep.